All your organization's asset data made accessible, adaptable, and reliable. Save time by managing user accounts, permissions, and security settings in one place. Enterprise-grade role-based security allows you to define fine-grained access rights for each user. 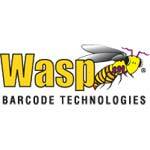 Stop wasting your time logging information that is more easily captured with an efficient barcode asset tracking system. Quickly find exactly what you need with smart views and conditional search feature. Users can create and save custom views that are pertinent to their needs and share them across the organization.